According to Supreme court of India “Ragging is any disorderly conduct, whether by words spoken or written, or by an act which has the effect of teasing, treating or handling with rudeness any student, indulging in rowdy or undisciplined activities which cause or are likely to cause annoyance, hardship or psychological harm or to raise fear or apprehension thereof in a fresher or a junior student and which has the effect of causing or generating a sense of shame or embarrassment so as to adversely affect the psyche of a fresher or a junior student”. “(j) Any act og physical or mental abuse (including bullying and exclusion) targeted as another student (fresher or otherwise) on the ground of color, race, religion, caste, ethnicity, gender (including transgender), sexual orientation, appearance, nationality, regional origins, linguistic identity, place of birth, place of residence or economic background”. Ragging which starts as fun for one group of students may have a far reaching influences on the other group of students, family and the Institution itself. The consequences may end up in death. Maulana Azad Institute of Dental Sciences, New Delhi has been center for excellence in dentistry in India by imparting quality education to students coming to the Institute. The Institute works towards the welfare of students and also yields skilled, disciplined, qualified and confident dentists. The Institute has taken measures to curb the menace of ragging in the campus. In view of the directions of the Hon’ble Supreme Court in SLP No. 24295 of 2006 dated 16-05-2007 and in Civil Appeal number 887 of 2009, dated 08-05-2009 to prohibit, prevent and eliminate the scourge of ragging including any conduct by any student or students in the institution and thereby, to provide for the healthy development, physically and psychologically, of all students. Anti-Ragging Committee will be the Supervisory and Advisory Committee on matters of Planning Action for Building and Preserving a Culture of Ragging Free Environment in the Campus. 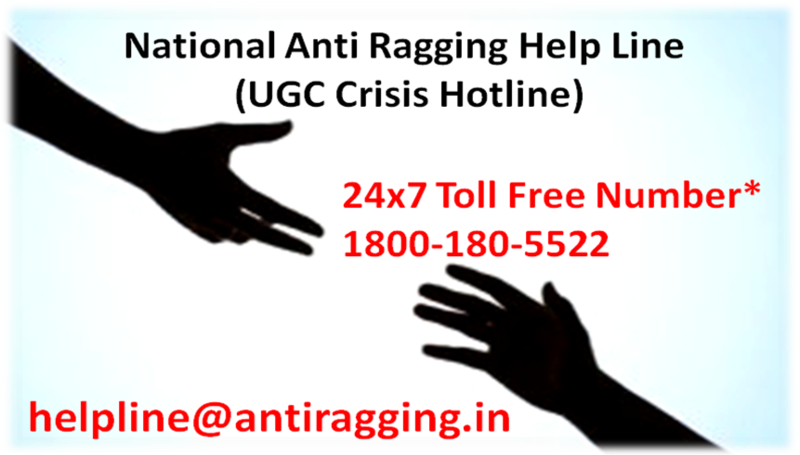 To make aware the students of dehumanizing effect of ragging inherent in its mulishness. The Anti Ragging Squad will work under the Supervision of Anti Ragging Committee and to engage in the works of checking places like Hostels, Buses, Canteens, Classrooms and other places of student congregation, for any incidences of Ragging, and shall educate the students at large in the Institute about Menace of Ragging and related Punishment Provisions. Anti Ragging Committee will be involved in designing strategies and action plan for curbing the Menace of Ragging in the Institute by adopting array of activities. To set up and monitor the Institutional monitoring committee in each floor. To Institute and monitor the work of Antiragging squad. To Institute and monitor the Students antiragging committee. Conducting the Orientation day for the students. 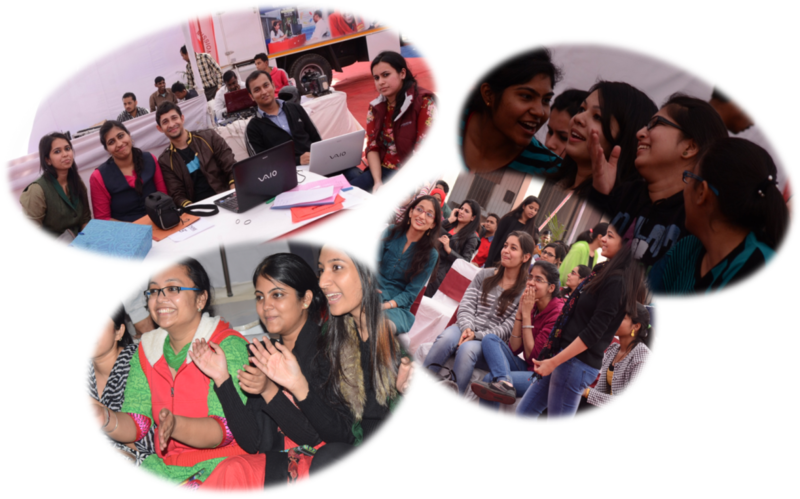 Fresher`s day for the students. Distribution of antiragging booklets with the information and phone numbers of the committee members. To arrange regular meetings for appraisals, planning and implementation. Monitor whether appropriate antiragging display boards and charts are put up in the colleges. CCTV cameras are present at all vital points of the Institute where the menace can be initiated. Sensitization and Awareness lectures by legal authorities. To take appropriate action if any cases are reported. Verbal ragging: When senior causes mental harassment, discomfort for the junior by forcing him/her to answer unacceptable/personal questions, dance, song, etc. is said to rag the junior. It also includes within its ambit cyber ragging. Punishment: 1 year imprisonment or fine. Severe verbal ragging: when the mental harassment, discomfort is to such an extent as forces the junior to withdraw from college. Punishment: 7 year imprisonment with fine. Physical: any act by the senior towards the junior which inflicts bodily injury on the junior, like beating the junior, hitting him/her with objects etc. Sexual ragging: where the senior asks the junior to do an act which damages the sexual dignity of the junior. Punishment: 7 year imprisonment and fine. Ragging evidence: act of ragging witnessed by teacher, non-teaching staff or administrative staff to be treated as final. Lodge FIR in the nearest Police Station. Use complaint box near Dean’s office. Mr. Anand Kumar Dubey, D.H.